“HR Secrets for Hawaii Employers” was written with the local business owner in mind. This new white paper, from Hawaii’s most trusted source of human resources services and HR expertise, shares valuable “insider” know-how about recruiting and hiring (and firing) employees. 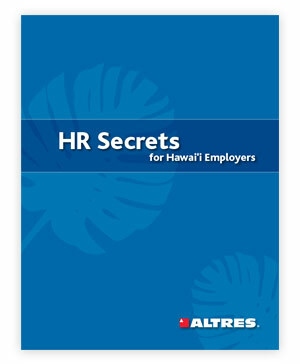 Fill out the form to gain immediate access to our HR Secrets for Hawaii Employers.